What is The Whiteley Clinic? The Whiteley Clinic are private medical facilities specialising in the treatment and research of varicose veins and other venous conditions, like thread veins, leg ulcers and phlebitis. Our own continued research, audited results, inventions and new technologies used in varicose veins treatment have led to the development of The Whiteley Protocol®, a standard of excellence for the diagnosis and treatment of varicose veins. We introduced the minimally invasive, or ‘pin-hole’, surgery techniques to the UK by performing the first such procedure in March 1999. We invented TRLOP technique for closing perforating veins in 2001 and have been the leading clinic in diagnosing and treating pelvic and vulval varicose veins. We have continued to stay at the forefront of this revolution and have both a national and international reputation for our work and innovation. We have now performed over 20,000 minimally invasive or ‘Keyhole’ procedures using EVLA (Laser), Radiofrequency (RFiTT®), Ultrasound Guided Foam Sclerotherapy (USGF), Transluminal Occlusion of Perforating veins (TRLOP) and Ambulatory Phlebectomy. 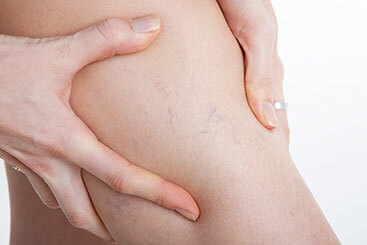 We also treat spider veins with Microsclerotherapy. The basic aim of varicose veins treatment is to remove the underlying cause of the varicose veins as well as the visible varicose veins. This not only gives the best possible result in the short term, but also the lowest possible chance of recurrence in the long term. In order to do this, we use a co-ordinated system with the best possible understanding of what the problem is and then tailor the treatment individually to that patient. It’s this approach that we have been following since 1999 that has made The Whiteley Clinic unique. By using our protocol, we can work out exactly what pattern of problem each individual patient has and make sure each patient gets the very best treatment tailored for themselves. Because we offer tailored treatment plans and don’t just assume that every patient has one of a very limited number of simple conditions, we are unable to give exact prices until we have performed the extended venous duplex ultrasound scan performed by our specialist scientists. Patients benefit by getting a fully bespoke treatment plan tailored to their individual needs, using the very latest techniques. This leads to not only our high patient satisfaction but also excellent results with the lowest chance of recurrence. Doctors, nurses, and other health professionals can benefit by having their patients treated optimally, by using our advice line or by arranging teaching by one of our experts. Medical companies can benefit by using our services for studies ranging from in vitro scientific studies through developmental work to clinical studies. Students or junior doctors who wish to get involved in research can benefit from one of the research activities provided by The Whiteley Clinic. We support research fellows who wish to get involved in our cutting edge research, as well as sponsoring and supervising Ph.D. students through the University of Surrey on specific projects of interest to The Whiteley Clinic. "The Whiteley Clinic have truly saved my life and I can't thank each and every one of them enough!" "Dr Beckett, Susan and the theatre staff were all so kind, caring and knowledgable and really put me at ease." "The Whiteley clinic not only diagnose/treat patients with PCS but they are dedicated to research and ultimately trying to improve care." My veins are cosmetic do I still need a scan? Only a venous duplex ultrasound scan can accurately diagnose varicose veins and “hidden varicose veins”. Can I bring my own scan to a consultation? Feel free to bring your own scan. Our expert sonographers always conduct a fresh scan so we have the latest information to treat you. I've had my varicose veins treated elsewhere before, can you still help me? Yes, we treat many clients who have had ineffective treatments elsewhere. Successful treatment starts with finding out what is causing the disturbance of the blood flow and then correcting the underlying problem in order to get the venous blood to flow correctly again. In accordance with NICE clinical guidelines, The Whiteley Clinic use multi-disciplinary teams for each patient. This means we have venous scanning experts performing detailed 30-40 minute scans and avoid missing the relevant veins. Finishing the medical treatment and reducing future risks. Once the underlying problem has been fixed and the venous blood flow to the leg(s) has been restored, there are usually several abnormal veins that remain from the years of damage caused by the underlying vein problem. The Whiteley Clinic audits have shown that not addressing these remaining problems, leads to a much higher risk of further vein problems occurring – often within a year or less. Treatment in Phase 2 is usually ultrasound guided Foam Sclerotherapy. Once the venous blood flow has been restored to normal and all of the underlying vein problems have been treated, the green reticular veins and red, purple and blue thread veins can then be treated with the highest chance of success using Microsclerotherapy. An initial expert consultation with one of our team of specialist consultants who will perform a clinical examination of the veins you are worried about. Explain the underlying cause of varicose veins and what may happen if they are not treated properly. Explain best treatment practice as recommended by the National Institute of Clinical Excellence (NICE). Discuss the treatment options available to you and what to do next. Take plenty of time to answer any questions that you might have. A HD Duplex Ultrasound Scan by one of our specialist Sonographers which will provide a map of your veins and possible causes of your venous condition. A Treatment Plan Consultation with a Venous Consultant who will review the scan results and create a personalised treatment plan with a quote.